A pictorial history book of Oxford, written in John Cofield’s style of telling the town’s tale, with four generations of Cofield photographs to enhance John’s memories of Oxford. Note: If you selected a ‘Signed Copy’ please enter the name of the person the book should be signed to in the “Sign this book to” field during checkout. 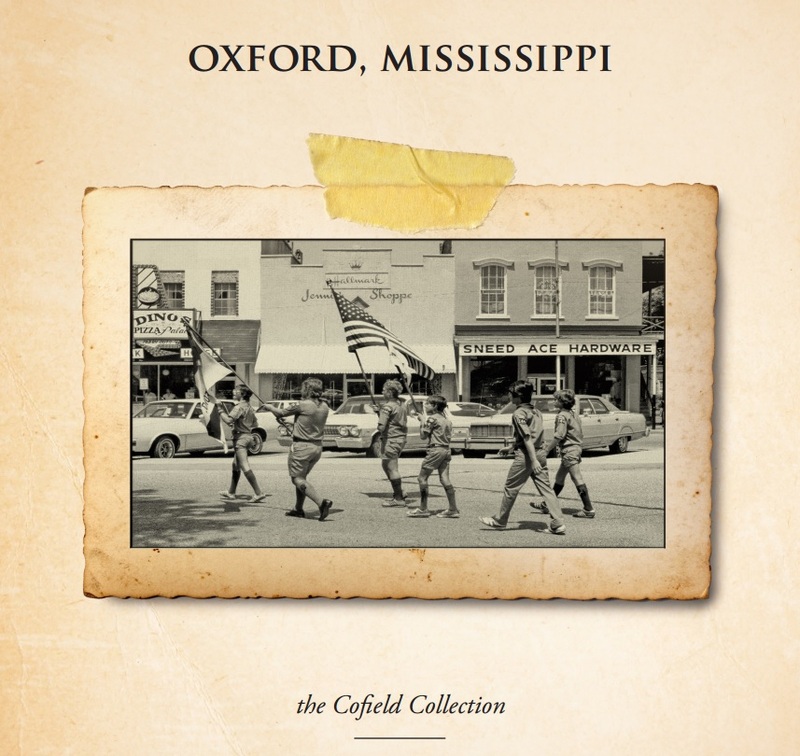 The publication of Oxford, Mississippi, The Cofield Collection is the natural next step as John continues his family's tradition of preserving their hometown's rich history. A must-read for lovers of Oxford and Ole Miss. If you could only buy one book about Oxford, Mississippi, this is the one you want in your home. The Cofields have outdone themselves once again. Since 1928 the Cofield family photographers have been documenting Oxford's history with their cameras and writing. John Cofield is the third generation to carry forward the family legacy begun by J. R. "Colonel" Cofield. John's personal Facebook page is really the town's page and his daily posts bring enjoyment to many while providing interesting history lessons to all. John spends his days promoting the town's most famous citizen, William Faulkner, in addition to researching to enhance the photographic collections at Archives and Special Collections at Ole Miss. To contact us by email please use the following contact form.